Darren started his career with Sheffield Wednesday, but was released as an apprentice. He joined Matlock Town, but was spotted by Chesterfield, and joined them on loan in 1987, making 17 League appearances. 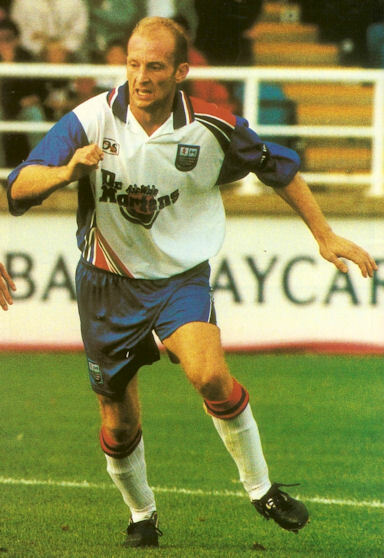 He had spells with York City and Newcastle United before joining Peterborough United in August 1992. In two seasons at Peterborough, he made 83 appearances, scoring twice, before going out on loan to Plymouth Argyle. Darren signed for Blackpool in October 1994 for a £35,000 fee and played 81 games during his stay. 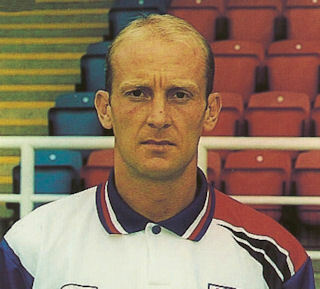 In October 1997, Brian Talbot brought him to Nene Park after the poor start to the season. He immediately went into the side, initially in midfield to replace the injured Garry Butterworth. 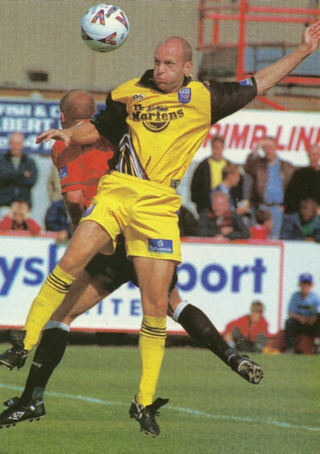 He soon became first choice centre back on Butterworth’s return, playing regularly during the 1997/1998 season and the following season, before various injuries from the autumn of 1999 onwards restricted his chances in the first team for the remainder of his Diamonds career. He left the club in January 2001, spending a brief period with Stevenage Borough before dropping down to play for Worksop and Balper Town and retiring from the game in 2005.